Go take a look. You can thank me in the morning! 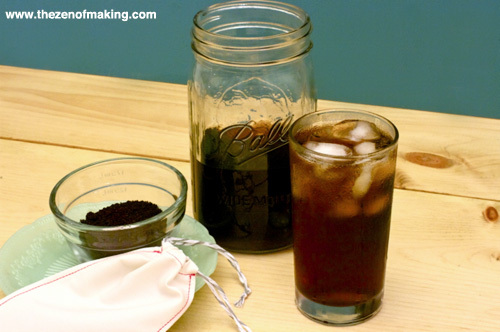 From the moment I saw this recipe in the New York Times, I’ve been absolutely obsessed with cold brew coffee. Not only is cold brew delicious and easy, it doesn’t require electricity or any special equipment, so you can make it just about anywhere—even when you’re camping or traveling! I’ve spent a lot of time streamlining the process and perfecting my brew, so I’m really excited to pass my morning coffee routine along to you. 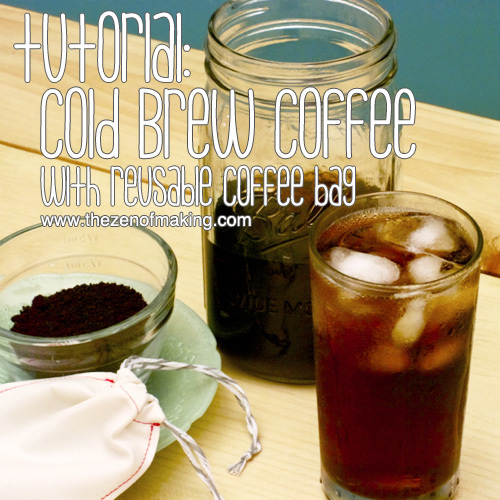 In this tutorial, I’ll show you how to make your own reusable drawstring coffee bag, then I’ll walk you through the cold brew basics. When we’re done, you’ll be ready to make a fresh cuppa joe just about anywhere. Step 1: Wash and dry the muslin thoroughly, then press with an iron to remove any wrinkles. Cut one 4" x 16" rectangle. To begin, tape the wax paper to your workspace (just the corners will do), then use your ruler and a permanent marker to draw a 4½” x 3″ rectangle in the center. 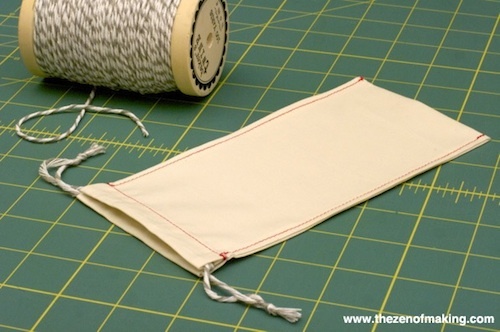 Step 2: To prepare the coffee bag for sewing, fold and press the fabric as shown above. a.  Fold both 16" sides toward the center ¼", then press in place with an iron. Ready to make your own? Head over to CRAFT to see the full tutorial!